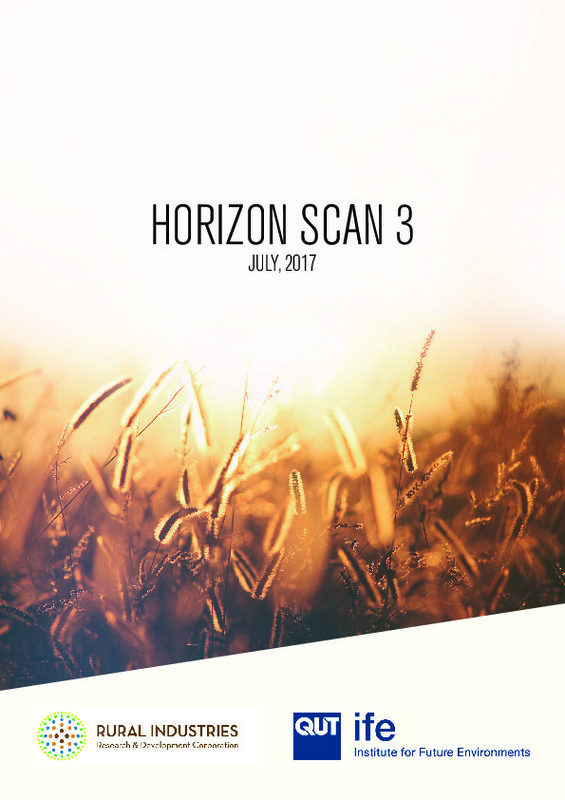 This report is the third in a series of reports targeting the early detection, analysis and forecasting of issues and opportunities that might impact Australian rural industries. Objectives for this report included to expand the information sources used to discover emerging technologies, and to strengthen evaluation and analysis of findings. The result of this has been the identification and communication of emerging technologies spanning domains as diverse as genomics, nanotechnology, robotics, artificial intelligence, and material science. 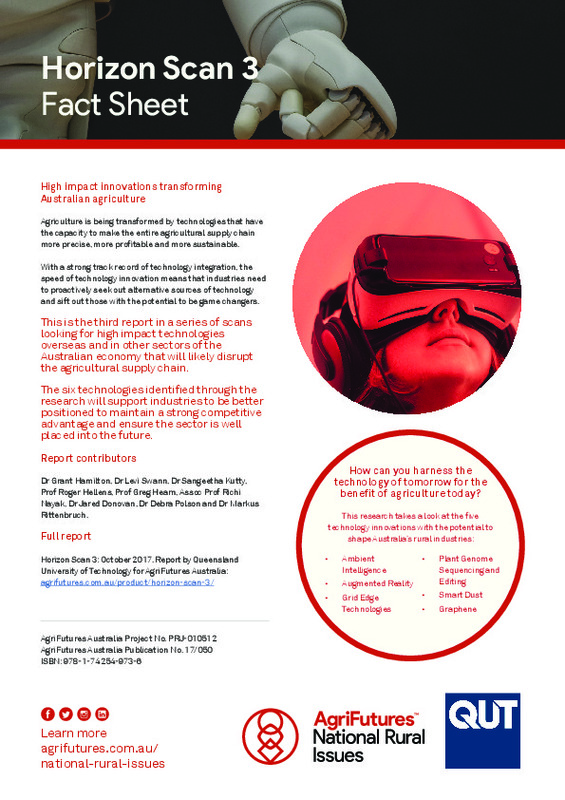 Analysis of the technologies has assisted with identifying innovation trends, as well as the extrapolation of findings to communicate the potential impact of these technologies for Australian rural industries.